A breathtakingly beautiful thangka of the Buddha of compassion, the Bodhisattva Avalokiteshvara (Chenrezig), here in his four-armed form as Sadakshari Lokeshvara. 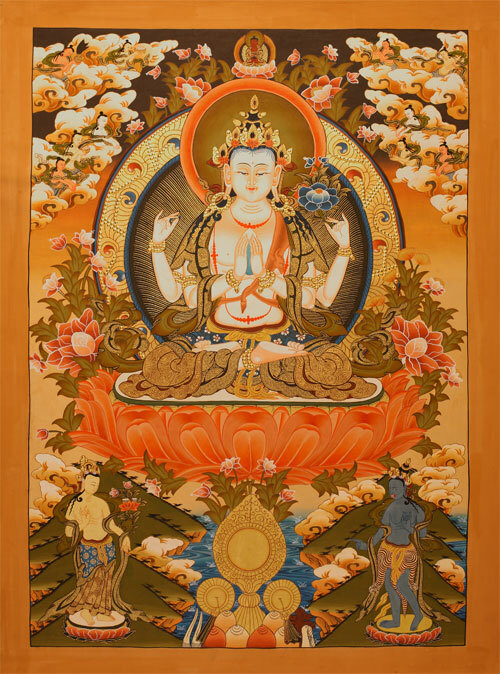 Avalokiteshvara is painted here in a "forgotten" gold drop painting style. See also detail photo.